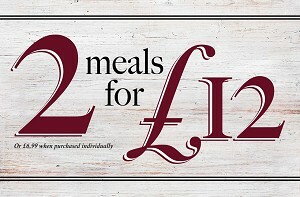 Choose from 13 classic dishes in our 2 for £12 section and enjoy any 2 meals for just £12 or £6.99 each! Please note this deal cannot be used in conjunction with any other offer or promotion. Choose from beef, pork, turkey or our vegetarian option of the day. 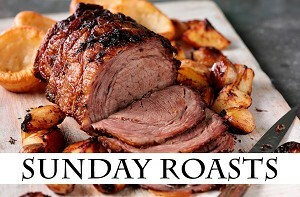 All accompanied with Yorkshire pudding, seasonal potatoes, vegetables and gravy. brookside, east leake, loughborough, leicestershire, le12 6pb . T:01509852020.